The issue has long been divisive in agricultural areas, pitting neighbour against neighbour, yet there is no democratic responsibility inherent in the implementation of the “Green Energy Act”. The power of municipal councils and their Official Plans have been usurped by Queens Park, where government politicians are comfortably far enough away from the controversy to remain unmoved. The latest election results should serve as a wake-up call to those who still believe that this kind of governance is appropriate in the 21st century. The direction of this debate has, no doubt, not gone unnoticed by OFA officials, many of whom are likely as keen on trying to keep their own jobs, as they are in faithfully representing the will of their membership. Regardless of the motivation, the result is the same the OFA must present the concerns and opinions of rural Ontario on this issue to those in power in Toronto. Clearly, there is a more than a bit of self-interest in the OFA’s reversal. As agricultural producers rely more heavily on non-agricultural income such as the revenue streams that wind and solar farms generate, the influence of the OFA is diluted. In fact, the future will see significantly more conflicts of interest between farm and non-farm matters. That is a threat to more than just the Federation entire communities and a way of life, stand to lose, in the process. 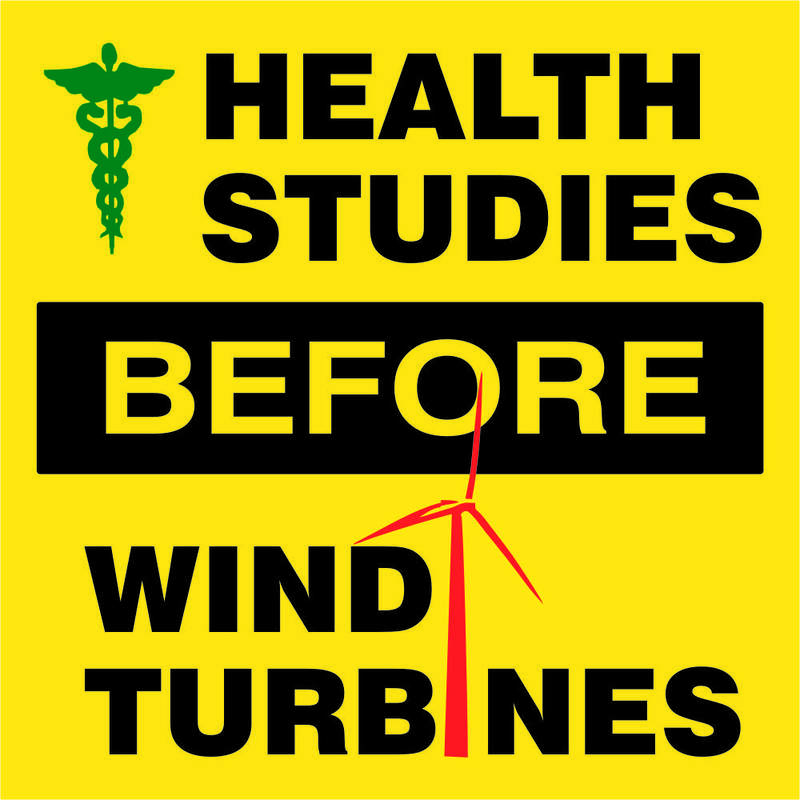 Until the long-term health effects of giant wind turbines are truly established, further propagation should be halted. There are currently enough windmills in the province, from which to glean scientific data to evaluate the issue. Allowing more developments to move forward in the absence of evidence of their harm, is a policy fraught with danger. These are simply too expensive a form of infrastructure to just pack up and move, if the science turns against wind farming. And there are enough precedents for governments allowing (even supporting) things which have not worked out so well for mankind in the end, to give us all concern. Thalidomide, asbestos, DDT, lead water pipes, UFFI insulation, are all examples of “good ideas” that were to revolutionize their industries at one time or other. I think that if the government were so sure of the long-term effects of these large generators, they would place them primarily in large cities where the demand for electricity is greatest. Rural Ontario has no interest in being the canary in the coal mine, for their urban cousins. Furthermore, the rural economy relies on the health of its livestock. Animals are often far more sensitive to noise, vibrations, magnetic fields, and stray voltage, than humans. One need only look to the family dog’s reaction to a shrill squeak, or to a thunderstorm, to understand the point. Stressed livestock don’t reproduce well, nor do they thrive. If hens start laying fewer eggs, cows give less milk, and cattle beef and pigs stop gaining weight as quickly, it is doubtful that anyone in Toronto will notice or care. The results in the farm community could be devastating. And if the fears of wind farm opponents are proven correct, then it will not only be the large corporations who will be facing future litigation, but also the farmer land-owners who allowed these windmills onto their property in the first place. Because the demand for electricity is primarily in built-up, urban centres, placing “green energy” generation in broadly-distributed rural fringes makes very little economic sense. As was found out by subscribers to the FIT initiative, insufficient transmission capacity exists in many cases, to take the rurally-generated electron to market. Even when many individual and disparate windmills are tied together by new infrastructure paid for by the large corporations who back these wind farms, actually getting this power across the province will require the building of large new transmission lines. The result is further disruption to farms many miles away from where a “lucky” few may feel the benefit of revenue from power generation. And all Ontarians wind up paying for this unnecessary additional infrastructure. One area that the OFA has probably foreseen ahead of its members, and which may be guiding its recent policy on windmills, is the property tax issue. Agricultural production is, by its very nature, real-estate intensive. Proper farms enjoy the benefit of a property tax rate ONE QUARTER that of the normal residential taxpayer to compensate for this. Producing farmland is typically assessed at $1,000 to $2,000 per acre. Now, if large commercial energy enterprises start paying farmers commercial rents for the use of this land for industrial wind farm operations, then that tax advantage should and will be lost. MPAC has already been busy narrowing the definition of a farm, trying to move some types of non-core agricultural land uses away from the agricultural or even residential tax classes, into the commercial or industrial league. That typically represents a mill rate of TWICE the residential rate (or eight times the farm tax rate). Combine this with an assessment based on the lease-income stream instead of the market-rate for farm land, and one begins to understand the potential financial catastrophe waiting to blind-side small, unsuspecting, agricultural operators. And there may be debate as to whether this kind of assessment would apply only to the footprint of the wind tower, or also to the access roads and easements for power transmission , perhaps even to the entire farm property. The OFA may be the only “local” voice capable of reaching Queens Park, and balancing out the inequities of the “Green Energy Act”. Provincially, rural votes will not be enough to sway a government that has lost its way on energy policy. Yes, expanding electricity generation is vital to the province’s future, but if this comes at a high monetary and health cost in the agricultural community, there may be no future to rural Ontario. Interestingly, this time it may be a lobby group that brings true democracy and thoughtful governance to this issue. Posted on January 31, 2012, in Uncategorized and tagged giant wind turbines, ontario federation of agriculture. Bookmark the permalink. Leave a comment.